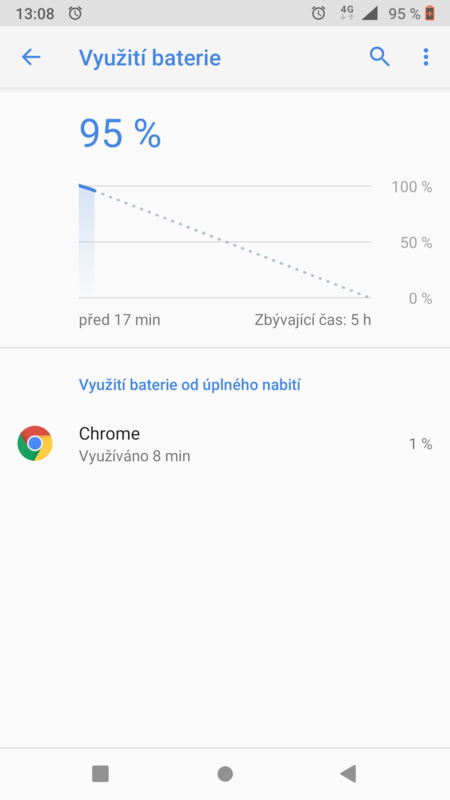 Helo guys my nokia 6.1 battery draining is so fast like i only get 3H 50M on display time, please help me i only play shadow fight 3 game for just 2 hours only sometimes , otherwise normal wifi usage , buti always check battery details it always show 3 or 4 hours maximum on display, let me know yours battery details? Hi! Check the battery usage. It's possible that a certain app dry out the battery. I checked that only there is one game i played for 1 hour 30 minutes , but after that normal use its give me maximum 4 hours screen time , can you tell me yours? If you installed anything latley check for that. A theme, a keyboard, a camera app. If not, send your phone to service. Its not about apps and phone usage. I believe that the firmware/ OS causes the battery to drain fast. My Nokia 6.1 battery only lasts for 20-30 hours depending on my usage. But it can remain longer if it is being managed by the OS correctly. I have a big discharge problem too. Having the screen lit drains a lot of battery, especially at 100% brightness. You might try lowering brightness and enabling battery saving. My Wileyfox Swift had the same problem, it's not something unique to Nokia. I played with my Nokia 6.1 and then forgot about it for twelve hours (I went to sleep). How much battery had it then left? 92%. So it is using its screen which drains the battery.